Click here for more information and full PDF. 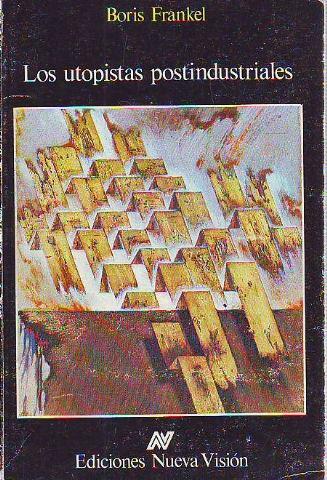 This was the first book to analyse the Leftist interpretations of post-industrial society. It looks at the feasibility of the eco-socialists', feminists', ecologists' and peaceniks' theoretical ideas and political programs. A critique of public policy and economic rationalism in Australia, this book offers feasible proposals for dealing with unemployment, poverty, retirement income, rural and urban industries, public sector services, environmental issues and welfare. 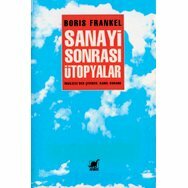 In this provocative and original interpretation of contemporary Australian society, the iconoclastic writer, Boris Frankel, not only subverts conventional notions of this society, but also offers a host of alternative policy suggestions. He criticises Australia's outdated and short-sighted Right and Left social and political movers and shakers and shines a bright and unflattering light on Australia's major political and social institutions - including a devastating critique of Australia's educational system.